I am an Apostle of Divine Mercy since 2004, and I felt privileged to be invited to this Apostolate, because I was born on October 5th (day of Saint Faustina). 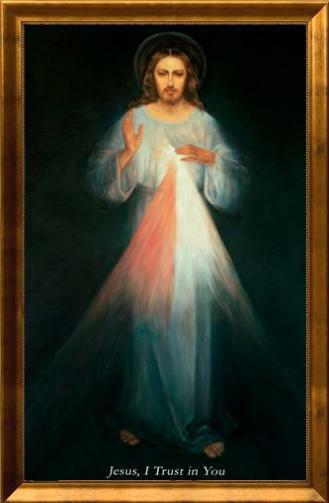 I am dedicated to spreading the devotion to the Divine Mercy and to visit several hospitals in Mexico City. I take with me Merciful Jesus to the ill, and have witnessed inexplicable cures and great conversions. When I was invited to this Apostolate, the Image I was presented to was the copy of the first Image of Merciful Jesus, painted in Vilna-Lithuania by Eugene Kazimirowski in the year of 1934, and guided by Saint Faustina. 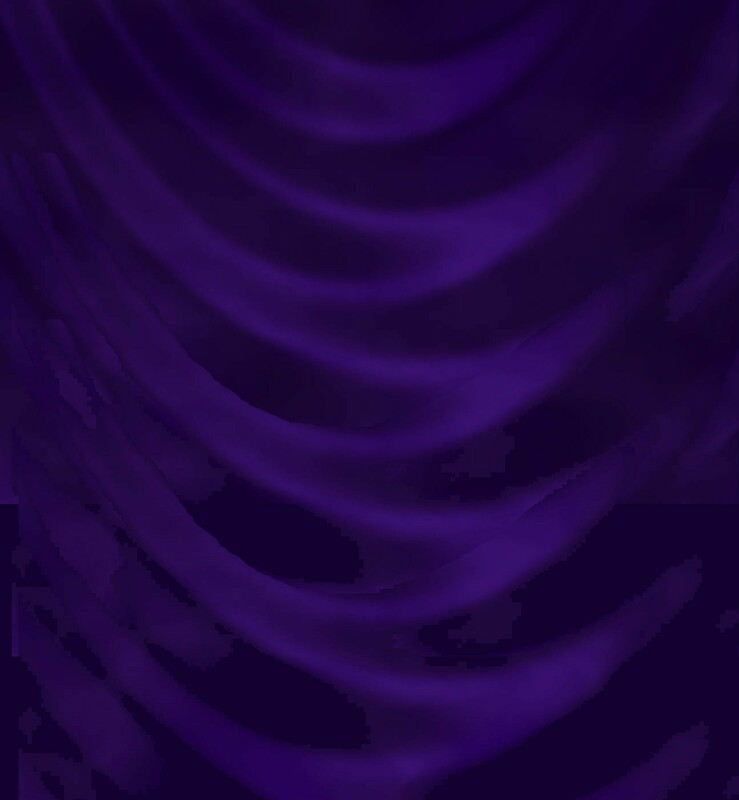 That is the Image I spread (I like it because it was the first one that I got to know, and because it was the first one painted during the revelations. I consider it as a spoken portrait). In the year of 2009, I had the opportunity to go to Europe and started to wish to go to Poland and see the original Image of the Merciful Jesus. 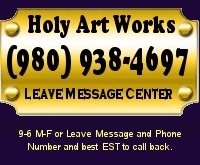 I asked where the Image painted by Eugene Kazimirowskie was located. I wanted to watch it closely, because my biggest desire was to go see the first Image. I was justifying my trip even if I didn’t succeed in seeing at the first Image that I was longing to look at. I encouraged myself thinking that I was going to be in the land of our beloved John Paul the II, who had been helping me in my Apostolate in a very particular way. When I talk about him and his relation to the Divine Mercy, the interest people show is quite surprising. I was also motivated by the idea of going to the Krakow Sanctuary, but I still wanted to know where the first Image, painted by Eugene Kazimirowski was. Two months before my trip, during one of my visits to the hospitals, I walked into a two-year-old kid’s room and got surprised when I saw in the wall over his bed, a poster of the first Image of the Merciful Jesus. It is not common for people to have this Image. The most well known is the one located in the Krakow Sanctuary, painted by Adolph Hyla in 1944. I asked where they got that Image, and they told me it came from Lithuania. I was later informed that the tumor the little boy had close to his heart, disappeared! The night before my visit, the priest Igor Simonovis, from Vilna-Lithuania, was there. Before leaving the room, I asked for the priest’ information. I had the chance to talk to him since he was going to stay in Mexico for few more days. I told him how much I wanted to visit the first Image and asked him if he knew where it was. For my surprise, he told me it was in his diocese. That they guarded it, and that if I was going there, he would pick me up at the airport and would take me to all the places related to the Divine Mercy. And so it happened!! I must say that that day in the hospital, there were many patients I could not visit. Sometimes there are many, so there’s not enough time to visit them all... but I went to the one I was meant to go. It seemed as if somebody was trying to thwart my trip. The flight to Lithuania was cancelled and was having trouble with the hotel room as well. But at the end, we got a better flight and the hotel room was resolved. When I stepped into the plane back to Mexico, I got the inspiration to paint Jesus. I started in a napkin and realized it was not bad at all. I took two years of painting classes when I was 15 year old, and had very little experience, especially in oil painting. I hadn’t touched a brush for more than fifteen years. I was only able to paint on Saturdays. I tried several times to paint That Merciful look of His, watching us from the Cross, since that is how Jesus asked Saint Faustina. I couldn’t do it. I tried for too long doing it over and over again, until I gave up, frustrated. I thought it was way too ambitious to paint Jesus’ Face while transmitting His Love and His Peace... so I decided to leave it standing in the floor, facing against the wall. Two months later, during a New Year’s Eve trip I did to North America, I had a tough car accident. I was driving by myself at high speed and another car didn’t respect the traffic light. I couldn’t avoid it. My car crashed against his and got destroyed on the front. The people who witnessed the accident thought I was dead. Nothing happened to me. I was praying the Divine Mercy Chaplet at the moment of the impact. The car air bags were activated, and were white. All I saw around me was the white color. Somehow, God let me know that He wanted me to keep working for Him. I seemed to have heard a voice, not external, but within me, that told me: “I’m giving you more time because you still have a lot to do here on earth”. I somehow managed to get out of the road and leave the car perfectly parked on the side, even with the car all smashed and with twisted wheels. After that happened, I reflected a lot and valued way much more the great and priceless gift of Life and the importance of living in God’s grace... because death can catch us by surprise without expecting it. On my way back to Mexico, I decided to continue painting Jesus. I thought He was giving me this life opportunity in order to continue working for Him in the Apostolate and this Image would be part of it. I began to increase my prayers and my hours in Eucharistic Adoration. I would ask Jesus to guide my painting. I would tell Jesus: You comforted Saint Faustina when she was in tears because the image of Your Face that Eugene Kazimirowski was painting through Saint Faustina’s description of You didn’t look like You, and didn’t transmit what she had seen in You. You told her that it didn’t matter. That it wasn’t about the colors or the brush strokes, but about all the graces that you were going to shed through Your Image. Saint Faustina then settled and was satisfied. However, I asked You to please help me to be able to capture and transmit Your love, Your peace, Your goodness, Your sweetness, Your mercy, even if it was only a little bit of that. I just wanted to captivate people and conquer souls for you. I finally finished it on February 26th of the year of 2010. It received the solemn blessing in the Old Guadalupe Basilica, on April 11th of 2010 (Holiday of the Divine Mercy). Since the beginning, I knew that that painting of Merciful Jesus was not going to be for me. I knew it should be exposed in a Church to be publicly venerated. During one year, it visited several Churches, houses and events. It finally stayed in the Altar of the Czestochowa’s Mother of God Church in Mexico City, for its permanent veneration. I was fully pleased because while the painting was visiting that Church on the day that John Paul the II was being beatified, I asked John Paul the II to arrange for the painting to stay there. And he did! I could not believe it! I had wanted that for so long since both of my parents remains are in the crypts of that Church. Going deeper in Saint Faustina’s life, I also discovered something that caught my attention about her life. I found out that she offered her perpetual vows to the Virgin of Czestochowa. It was on May 27th of 1933 when Saint Faustina left Cracow towards Vilna and made a stop in the Czestochowa Sanctuary (in Poland), where she prayed for 5 hours, offering her vows to the Virgin of Czestochowa. The image of Merciful Jesus that I painted arrived to stay permanently in the Czestochowa’s Mother of God Church, also in May 27th of 2011. I know of several favors and graces received in the places that the Image visited while its peregrination. And the graces given are still happening. I took a picture of Jesus’ Face and it came out wonderfully. I made a lot of copies and have given them away. When people receive the picture, most of them kiss it and put it close to their chest. When I give it to someone at the hospital, I notice how much peace it gives to them. During my visit to Cracow-Lagiewniki (October -2011), at the World Congress of the Divine Mercy, the sisters of the Congregation of the Mother of Mercy gave me a first degree Relic of Saint Faustina. Now the Relic is venerated in the Czestochowa’s Mother of God Church since February 26th-2012, in front of the Image of The Merciful Jesus that I painted. During my last trip to Plock, in Poland, we went to the convent where Jesus appeared to Saint Faustina for the first time, in February 22nd of 1931 asking her to paint Him. I was very excited about being there, when suddenly, the sister of the convent who was telling us about Saint Faustina’s life, picked me among other 20 persons, to read Saint Faustina’s Diary, specifically, to read the paragraphs : 47, 48 and 49. For my surprise, they were about the moment that Jesus asked Saint Faustina to paint the Image: “The Image that will be painted, will be solemnly blessed on the second Sunday of Easter...” To me, that meant that Jesus was reconfirming me that the Image I painted of Him, it was not my work, but His. The Image I painted received the solemn blessing the second Sunday of Easter in the old Basilica of Guadalupe, on April 11th of 2010. I think Jesus used my hands and my heart to capture Him. If I had done it by myself, I would have definitely not being able to do it. I have made replicas of the Image in a 1-meter fabric canvas, and they have been placed in different Churches of Mexico City and in the whole country. this 12th day of December Two Thousand Twelve A D.